About five years ago, I remember catching Deer Tick on the Main Stage at Leicester’s sadly now defunct Summer Sundae festival. From what I recall, it was a fairly overcast day and the band’s set was, criminally, at around half past two in the afternoon where they performed to a bunch of dishevelled revellers from the previous night, scattered very sparsely around the site and looking, mostly lethargically, at Rhode Island’s finest, all painted faces and simmering attitude. I stood at the front and watched them, partly entranced by their commitment to the cause as they belted out a splendid set, and partly dismayed by the lack of response their super-charged display should surely have merited. Lesser bands may well have imploded from the indifference afforded them by such a lacklustre audience. Fast forward to 2012 and clearly, that work ethic has remained steadfast, as two highly contrasting albums are released on the same day and, listened to respectively, form some kind of glorious magnum opus, showcasing their versatility sometimes in downtrodden squalor, and at other times in gaudy sparkling hotpants. For the former, see Volume 1, where you will find tracks like the brilliantly abject ‘Cocktail‘, coming across rather like the George Jones classic ‘A Good Year For The Roses‘ or, rather, Elvis Costello‘s version of it. Then you have the expansive sounding ‘Hope Is Big‘, which is almost like an Aerosmith uber-ballad, but better than that, and the fantastic ‘Card House‘, which proves beyond doubt that frontman John McCauley is as good a writer of infectious pop tunes (and great lyrics – “Once you put the roof on the top of your card house, I’ll make all the walls fall down“) as he is of doleful antagonism (see the gorgeous ‘Limp Right Back‘ for proof of the latter). Volume 2, meanwhile, sees the band mount a serious challenge to The Hold Steady for their mantle as ‘Greatest bar band in the world’. Mostly brash and ‘in yer face’, this is a record that is sometimes brutal yet somehow still maintains its heart. Most immediate is probably ‘It’s A Whale‘, which begins, rather unexpectedly, in a similar vein to The Family Cat‘s 1989 instrumental ‘Albert Hoffman’s Bike‘ and delightfully never lets up. Later on the album is an obvious nod to Pink Floyd, on a song knowingly titled ‘Pulse‘ and sounding like something that almost made it onto The Dark Side Of The Moon. Other highlights come in the form of the swirling, triumphant rock of ‘Jumpstarting‘ and the splendidly uplifting ‘Tiny Fortunes‘, which must surely be in the running for Feelgood Song Of The Fall. And just to illustrate their variety still further, ‘Sloppy‘ is a dead ringer for early Nirvana. Both volumes contain a very neat total of ten songs each, and confirm that Deer Tick have risen gracefully from humble beginnings to become one of the sharpest bands on the block. This is perhaps even their finest hour. 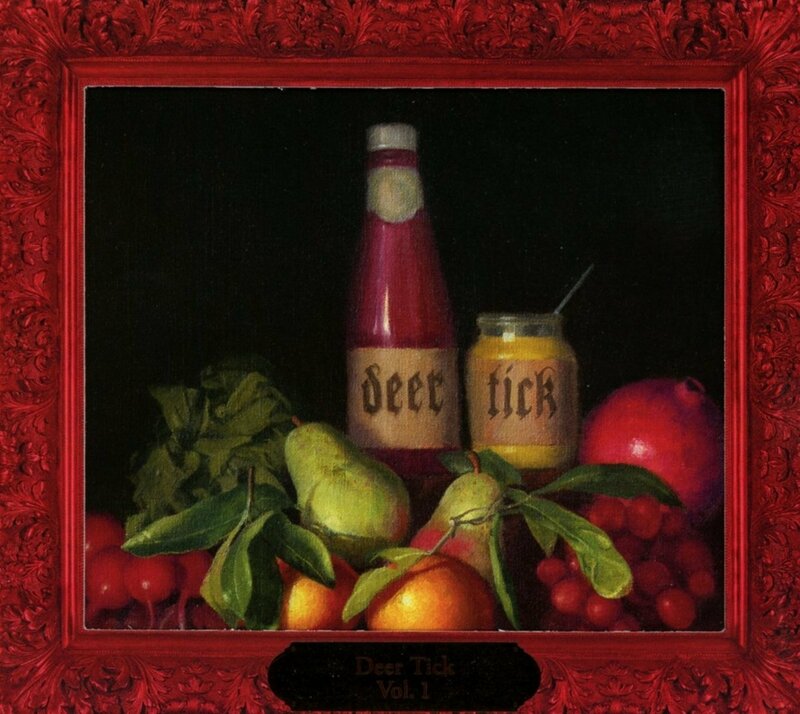 Deer Tick Vols 1 & 2 are out now on Partisan Records. Is that Youtube video representative of the album? If so I shall investigate further. Probably representative of Vol. 2 but Vol. 1 is more laid back, Tim.